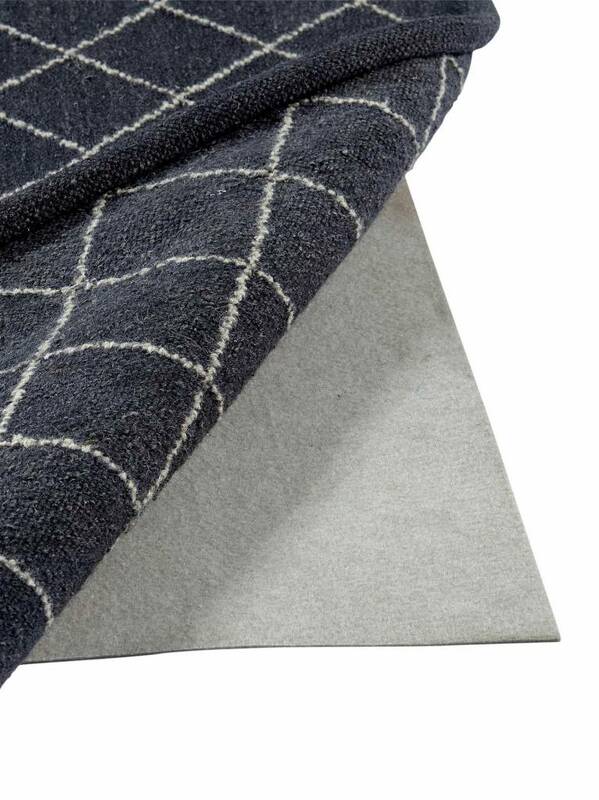 The needle felt underlay is a non-slip rug underlay with light adhesive on both sides which can be used on both soft and hard floors (parquet, laminate, tiles, stone, marble, cork & pvc floor coverings) and on heated floors. It can also be used on carpets to prevent rugs from creeping. The underlay is highly recommended for all wool rugs as it will extend the life of your rug and makes vacuuming much easier. The underlay can easily be cut and laid on your floor and will provide extra cushioning underfoot. This item is not eligible for return once opened (unless faulty). Material: Needle felt made of 100% polyester fibres.